SIG HANSEN in the captain of the commercial fishing vessel, Northwestern. 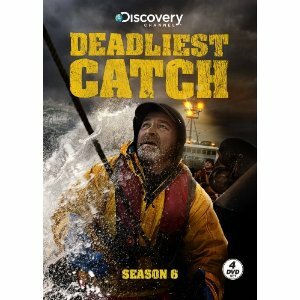 He has been featured on Discovery Channel s Deadliest Catch from the pilot through the first five seasons of the show. MARK SUNDEEN is an adventure writer and a frequent contributor to Outside, Men s Journal, The New York Times Magazine, National Geographic Adventure, and McSweeney s. He is the author of The Making of Toro and Car Camping. The Northwestern was built by Sverre Hansen, a pioneer in the Alaskan king crab fishery and the father of Sig, Edgar and Norman. The original boat was 108 feet long and specifically designed to harvest king and tanner crabs in the Bering Sea. A few years later, when the king crab catches collapsed, the Northwestern became one of the first boats to fish for opilio crabs. Throughout the 1980’s the Hansens and their boat kept busy fishing during most of the year by following the various crab populations’ seasonal patterns. Twice since then the Northwestern has been lengthened to pack more crab and carry more pots. The boat is currently 127 feet long with 250 pots for a capacity of 251,000 lbs of king crab. It was built in Seattle which is also the Northwestern’s home port. 100% preshrunk cotton. Men s sizes S-XXL. You don’t need to be a crab fisherman to need protection. The Northwestern Collection was built to battle the elements and weather the storms wherever you may find yourself.Show your love for the Northwestern and it’s crew while keeping extra dry and warm in this ultra-comfortable acrylic/jersey knit beanie. Helly Hansen New England is the official sponsor of the Northwestern. Made by Helly Hansen. You don’t need to be a crab fisherman to need protection. The Northwestern Collection was built to battle the elements and weather the storms wherever you may find yourself.Women’s cotton short sleeve t-shirt featuring the “Shut Up and Fish” logo, Northwestern emblem and Captain Sig’s autograph. Helly Hansen New England is the official sponsor of the Northwestern. Made by Helly Hansen. Please note: This tee is fitted and runs small.